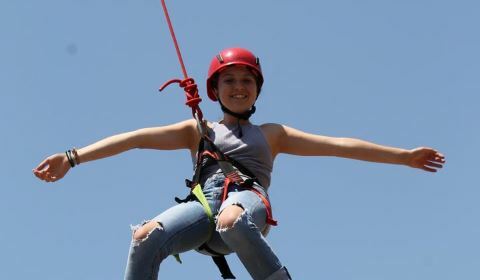 Wilshire Boulevard Temple Camps are designed to help Jewish youth develop personal identity and self-esteem, build relationships, learn about Judaism, have fun, and increase their long-term commitment to their families, synagogues, and communities. At camp, Judaism is not merely a programming device–it is our essence. The pattern of our day is uniquely Jewish. Prayer is a component. Meals are blessed. Many of the songs we sing are in Hebrew or have Jewish content. Our creative arts reflect our culture. 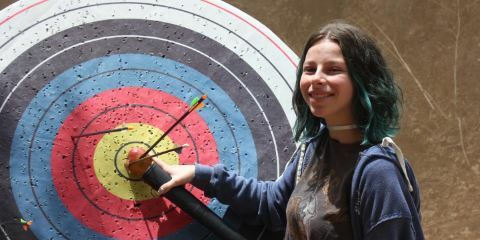 Programming focuses on a theme with which campers become familiar. While knowledge acquisition is valued, the deepening of identity and commitment is our primary goal. We’re so excited to announce that Summer 2019 for both Camp Hess Kramer and Gindling Hilltop Camp (clap clap) will be at Cal State University Channel Islands! Camp creates lifelong friends, helps kids discover who they really are, and builds a community that loves each individual for their true self. We're energized to keep fostering life-changing experiences in this new chapter of our camps' history. The newest campus in the Cal State system is beautifully situated just 15 minutes north of Camp. Modern, scenic, warm and inviting, this site allows us to retain our outdoor programs while also embracing the state-of-the-art facilities a college campus offers. A combination of intimate activity spaces and large-scale natural settings gives us an exciting opportunity to bring the magic of camp to a new, yet similarly coastal home. The dedicated campus police will ensure your children are safe and carefree in private-access living spaces and activity areas. Because we’re creating unforgettable summers in a new home, we’re bringing the camp classics with us. Beach Day? Check. Grilled cheese and tomato soup? Check. Going crazy on Shabbat? Check. Ocean breeze? Check. The choice-based structure of our schedule will, for the most part, look the same. We’ll still offer the chuggim (electives) and age-specific experiences that have defined us for decades, along with a handful of fun, new activities! If you have any questions about this summer, please don’t hesitate to reach out to any of the directors. Kramer and Hilltop at CSU Channel Islands - Can’t Wait! 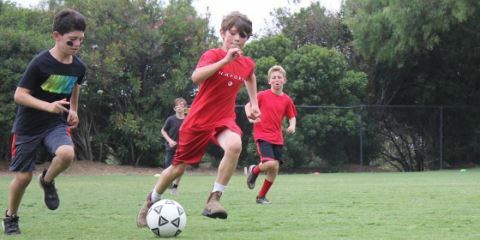 Registration for this summer is open, and sessions are starting to fill up! 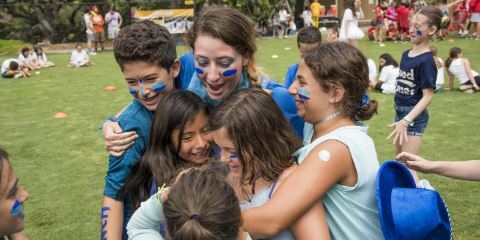 Camp Hess Kramer creates a community through the energy and spirit—the ruach—of the 350 people that live at camp during any given session. Camp Hess Kramer is known for the relationships formed in cabins and in units, as well as its small and large-scale programming. Camp Hess Kramer creates a Jewish experience our campers do not receive anywhere else. This all-encompassing Jewish living environment consists of Israel hour and evening programs, Limud (our daily hour of interactive learning), T'filah, conversations and questions, and of course Shabbat! Shabbat is one of the most exciting parts of the week. 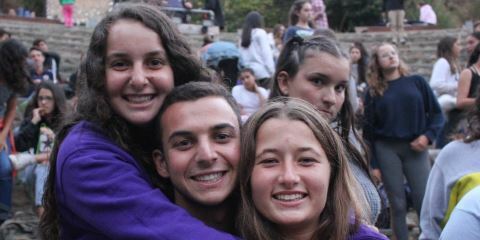 Friday night begins the Shabbat experience through T'filah, a special dinner meal, an energy-filled song session, and then the entire camp in one place participating in Israeli dancing. The rest of Shabbat captures the essence of the day with services, reading from the Torah, and relaxing cabin time. All week long, campers and staff alike eagerly anticipate Shabbat, not only because it is the day of rest, but also because it is the day separate and distinct from the rest of the week—a day filled with ruach, friendship, time, and space. We pride ourselves on our close-knit community and our ability to provide the time of your life! At just 150 campers and staff, this small community ensures that everyone knows everyone! Gindling Hilltop Camp has a sense of intimacy that you cannot find anywhere else. Through the close relationships campers form with their cabin mates, other campers, CITs, staff, and administration, they experience what it truly means to be part of something extraordinary. Judaism is the thread that holds Gindling Hilltop Camp together and is infused into camp life everyday, whether through Limud (our hour of interactive learning), daily activities, evening programs, Israel hour, T'fillah, or Ask the Rabbi. Shabbat at Gindling Hilltop Camp begins with a stroll through the cabin area. Dressed in white, each cabin joins the stroll to then walk together as one camp. The rest of the night is packed with music-filled services, Shabbat dinner, energetic song session, and then everyone Israeli dances! Shabbat continues the next day with T'fillah, as well as relaxing activities, different from the rest of the week as a way to separate the Shabbat, to make the day special. 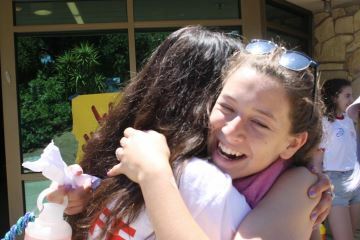 Shabbat is always one of the campers’ and staff’s favorite parts of camp.